Our guest post today comes from Jenn at Student-Centered World. 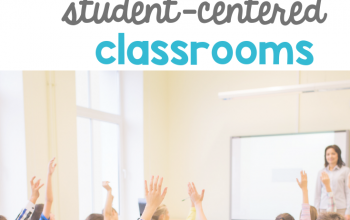 Jenn has created a valuable course, A Passion for Progress: Becoming a 100% Student-Centered Teacher in which she helps to show teachers how to transform their classroom into a student-centered oasis. Read more below to learn about Jenn and her program. When people visualize the idea of flexible seating, they so often see pandemonium and students who are negatively in control of the classroom. 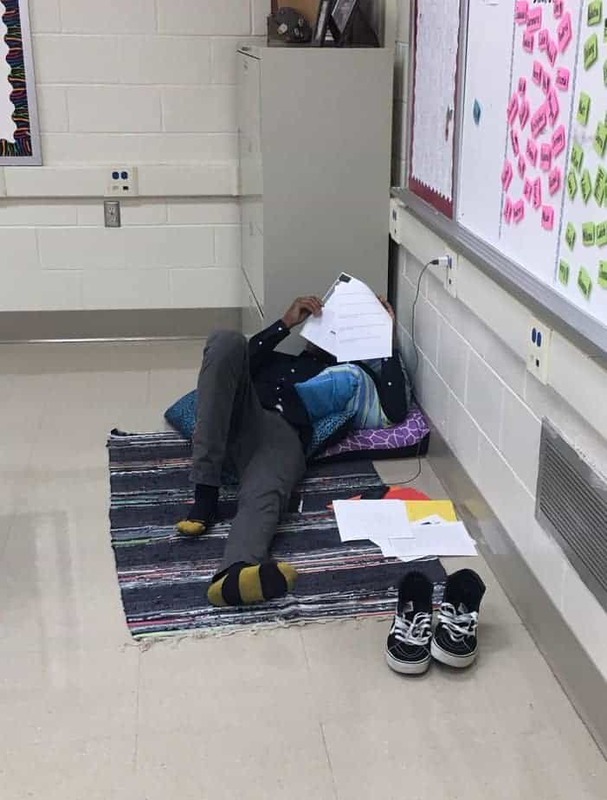 Unfortunately, this is one of the incorrect stereotypes of flexible seating. When done properly, flexible seating actually perpetuates a more cohesive learning environment where students are on task and performing at a higher level than they would in a more traditional setting. This seems almost backward, but that is because of the traditional views of the classroom. When the concept of public education was first created, it was designed to complement the industrial model: students sitting quietly in rows, performing the same task in the same way. We are advancing in our society and the industrial model of education is no longer working for the current students in the classroom who are members of Generation Z. This group is passionate for a cause, but they also are growing up in the digital age. They are a post-9/11, “never-lived-without-the-internet” group of individuals who are legitimately wired differently than those who have gone through schooling before them. If it is our job to educate them, shouldn’t we be meeting them where they perform at their best? The first key piece of this is allowing movement in the classroom. Gone are the days where a person’s attention span is 20 minutes. Do you know what the average is now? 7 SECONDS. We need to allow our students the option to find their own groove of being able to refocus. Telling them to be quiet and sit still is NOT going to work. We know children naturally “wiggle” more than adults, yet in an adult setting, it is appropriate to give breaks during long meetings, have the opportunity to use the bathroom, take a drink, etc. Why would we not accommodate children who have these needs at an even greater rate within a system that teaches them the appropriate way to do this? As adults, we know what we personally need to do to regain focus. Often it’s as simple as a quick brain break: some type of quick distraction that relaxes the mind and allows us to mentally regroup before going back to a task. Giving our students brain breaks extends them the same courtesy AND is allowing them to learn their own limitations and what how to push them to be the best versions of themselves. It is easy enough as setting up someplace for them to doodle for a few minutes (or collectively, if they are younger, using a program such as GoNoodle to give them that break. As adults, we also know where we are the most productive. For some it is standing, others sitting at a desk, and yet others may be sitting with their feet up on the couch. We are NOT one size fits all and neither are our students. This is where flexible seating comes into play. If you expect every student to be able to do their best while sitting for an extended period of time in a desk, you will have management issues. Besides the fact that this generation does not have the innate ability to do this, this is not how every student will perform at their best. Setting up flexible seating is easy and it does NOT need to be expensive (though if you play around on Pinterest or Google Images, you will see some INCREDIBLE classrooms out there!). 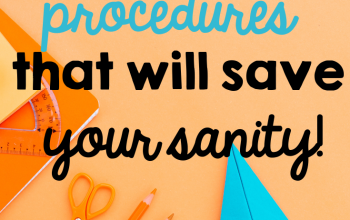 These 10 supplies can add to a flexible seating (and fidget-friendly) environment that allows your students to focus BETTER, not be more distracted. It’s hard to wrap your head around because it goes against everything we have ever been taught about, or experienced, in the classroom. The reason why is because it hadn’t really been studied before; but now, all that is changing. As backwards as it seems, this article explains why fidgeting and moving actually allows the brain to pay attention better (especially in those who have ADHD). The key piece in this is to change your expectations for the classroom. When rolling out flexible seating, there need to be specific rules in place. 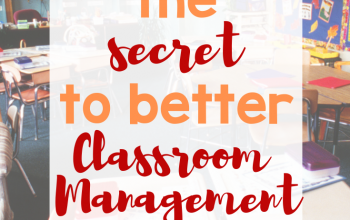 Yes, you may have to police a little bit more in the beginning, but once the students really grasp the ground rules, it becomes second nature (just like any other classroom management strategy). Yes, it might get loud, but that’s okay! I have had low-tiered high school students arguing with each other over CONTENT because they were in an environment where they were comfortable enough to do so. Guess what? They got more out of that argument than if I had them sitting quietly, listening to me discuss the same concepts. This is the beauty of a student-centered environment. It gives the students flexibility to be comfortable (literally and physically) to be able to perform at their best. It finds their individual interests in a topic and allows them to delve into it. Each student gets the same framework (we do have a curriculum to follow! ), but it naturally differentiates so each student gets something else out of it. 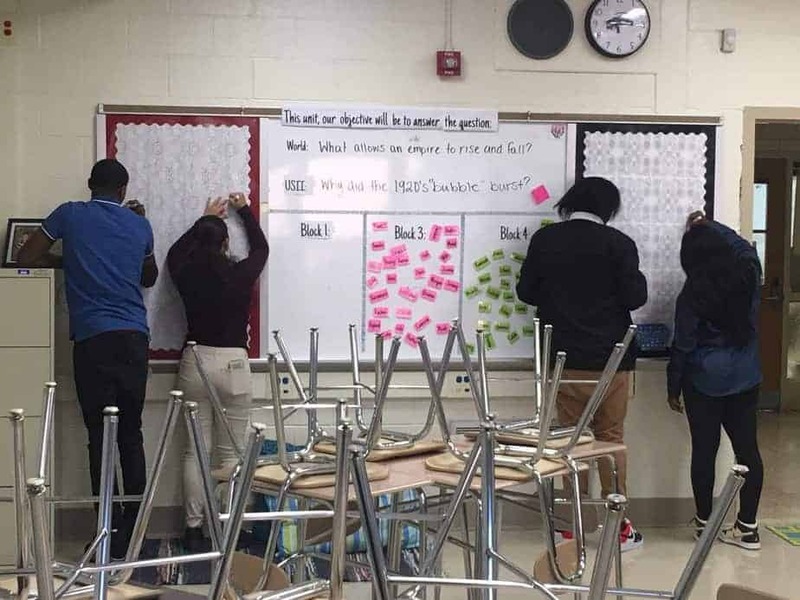 Have you ever had a classroom that does this consistently day in and day out? When executed properly, the learner-centered classroom does just that. The difficult part of making this transition is how to start. You hear it’s great, you look at the data and see how much better it is for achievement, but where do you start? There’s a lot of Googling and trial and error if you go at it alone. Do you know how long it took me to finally find a system that worked consistently for all students? Five YEARS. 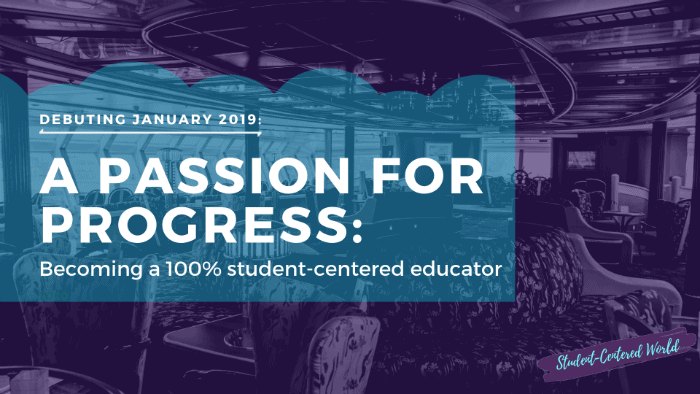 It was excruciating, but I took all of that knowledge and bundled it up in our newest course: A Passion for Progress: Becoming a 100% Student-Centered Teacher. I always thought it was terrible that there was no real guidance about HOW to create a student-centered classroom and all the pieces that go along with it. There is a LOT to learn about how to do it PROPERLY. 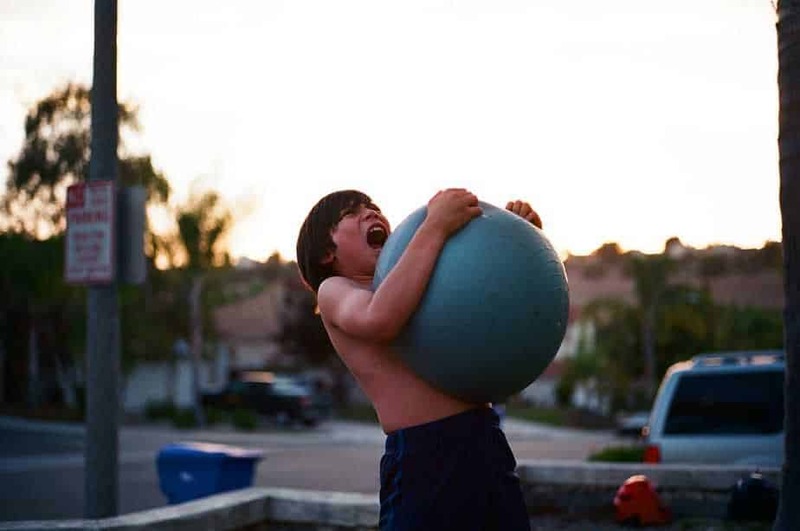 Too many people think you can just throw some yoga balls in the classroom and ultimately give your students some busywork and call it a day. It is SO MUCH MORE and everything you need to know from soup to nuts can be found in A Passion for Progress….plus it can be used immediately in the classroom. What’s better than that? 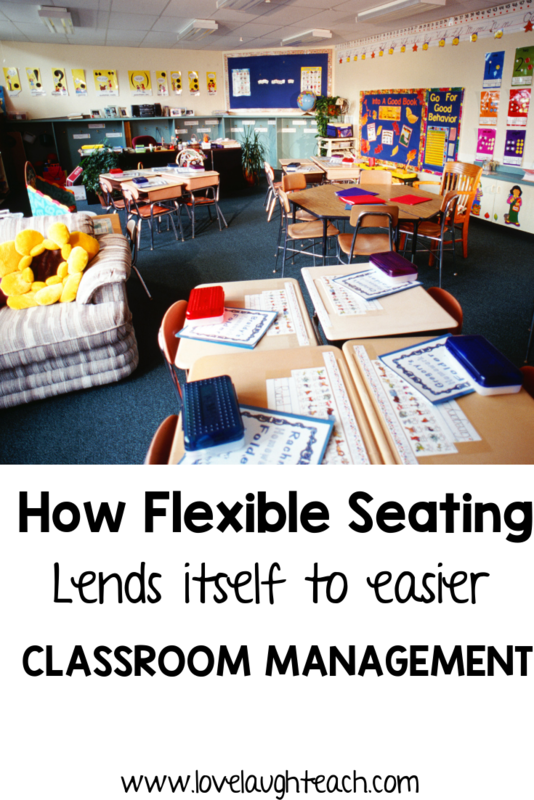 So a student-centered environment that incorporates flexible seating should not be avoided; rather, it will HELP with any classroom management issues you may have. It will help your students to focus more and engage in their work in a more profound way. Give it a try: you won’t regret it! After 11 years in the classroom and becoming the “go-to” person in her district for student-centered learning, Jenn founded Student-Centered World. The most frustrating part of the concept of student-centered learning is that there isn’t anything out there that explains exactly how to “do” it. A perpetual trailblazer, Jenn decided to create Student-Centered World to become the go-to resource for student-centered design and instruction in the k-12 classroom.